Building on the basic foundations of the beginner camp, students will learn the ins and outs of 3D level design and build levels for their own game. Campers must take the Video Game Design Camp prior to taking the Advanced Video Game Design Camp. Prerequisites: Students must take our Video Game Design Camp before taking the Advanced Video Game Design Camp. Students can take the Video Game Design Camp either the week before or in a previous summer. 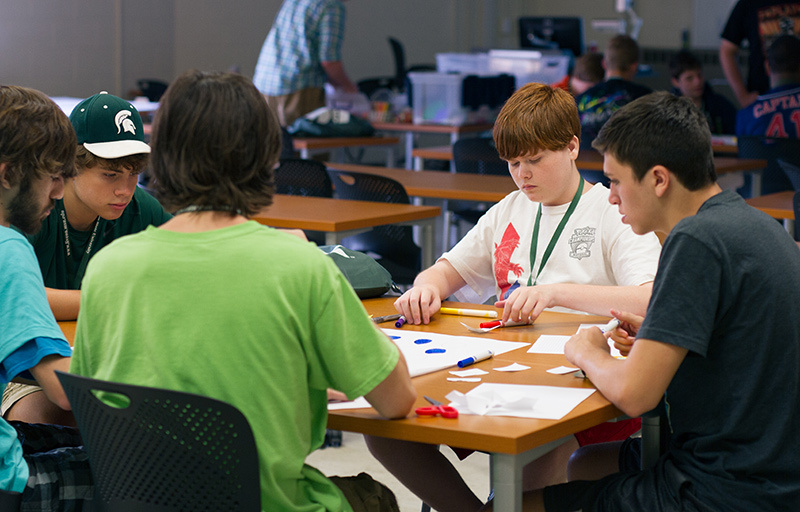 Students who have attended the middle school section of Video Game Design Camp must take the first week of the high school Video Game Design Camp before being eligible to enroll in the high school Advanced Video Game Design Camp because the program curriculum, introduction to software, and gaming concepts taught are substantially different.